Home roasting is a growing trend among coffee enthusiasts. Not only can home roasting be a fun hobby, but it also offers a number of advantages over purchasing coffee from your favorite roasterie. Green coffee beans cost less than beans that are already roasted. Green coffee beans stay fresh for a long time, so you can purchase them in larger quantities. The lower cost allows you to explore a wide range of coffees that you might not normally be able to afford. You can experiment with your own custom blends and roast levels. Most home coffee roasters are either a drum or fluid-air bed design. Drum roasters use a rotating chamber along with ambient and contact heat to roast and agitate the beans. With fluid-air roasters, a fan floats the beans on a bed of forced air. Fluid-air bed machines roast coffee at a higher temperature than drum machines. 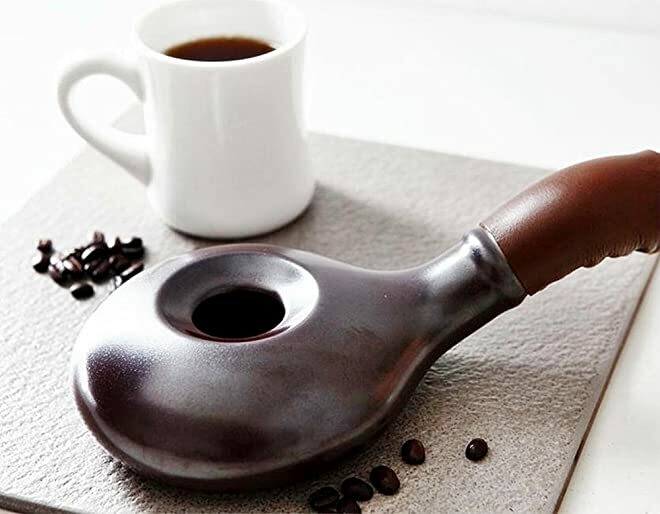 This produces coffee with a brighter and more complex flavor. Beans that are drum roasted tend to produce a slightly sweet coffee that has more depth and body. As a general rule, drum roasters produce a more consistent dark roast than fluid-air machines, so they are typically preferred when roasting espresso. The size of the fan in a fluid-air bed roaster limits the amount of beans that you can roast at any given time. Most fluid-air bed machines have a capacity of 2.5 to 5 ounces of green coffee beans. Most drum roasters will hold up to 10 ounces of green coffee beans per roast. Fresh-roasted coffee is best when used within four to five days after roasting. Depending on your preferred coffee strength, 2.5 ounces of beans will yield up to two 10-cup pots of coffee after roasting. By keeping this ratio in mind, you can extrapolate the appropriate roaster capacity for your needs. Home coffee roasting machines run the gamut from hand-operated and low-tech to highly sophisticated with automated temperature, roast level, and cooling options. The simplest options require you to monitor the roasting process much more closely; however, they are significantly less confusing and intimidating for the novice roaster. 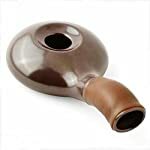 This air roaster is extremely quiet and compact at 6 inches by 6 inches by 13 inches. The roasting chamber is clear, which allows you to keep tabs on the roasting process. You can easily adjust your roast level by changing the temperature, fan speed, or the roasting time without interrupting the roast cycle. 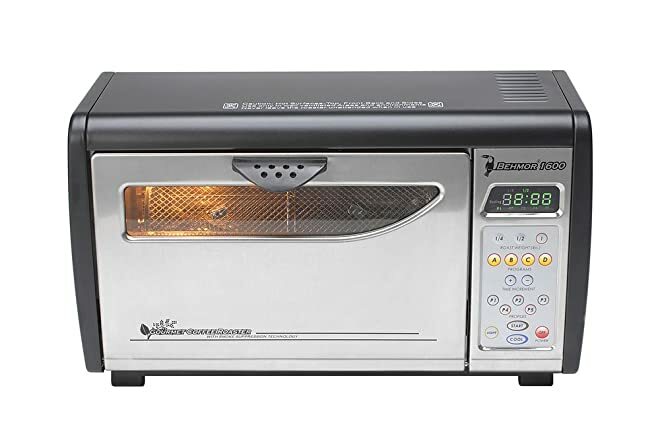 This level of control combined with a user-friendly operation make this roaster well-suited for both novice and experienced home roasters. Cleaning the machine is relatively easy. You simply dump the chaff from the collector and use a brush to remove the residue. The FreshRoast draws 1,500 watts of electricity. This roaster will hold up to 4 ounces of green coffee beans, which will yield approximately 3.5 ounces of roasted coffee. The default roasting time is six minutes, but you may want to adjust this up if you prefer a darker roast. The cool-down cycle runs approximately three minutes. The FreshRoast allows for on-the-fly adjustments of temperature and fan speed so that you can achieve virtually any level of roast. The controls are intuitive, so the learning curve is minimal. The fan does not always do a good job of agitating the beans, especially at the beginning of the roasting cycle. You may have to do some manual stirring in order to achieve an even roast. The beans are cooled in the roasting chamber, so you need to anticipate some carry-over roasting. This means that you may need to manually stop the roasting cycle before the beans reach the desired roast level to ensure that they do not end up too dark. This machine does not have a smoke suppression feature, so you need to make sure that you have plenty of ventilation when roasting. Buy The FreshRoast at Amazon Now! The Behmor 1600 measures 9 inches by 9 inches by 15.2 inches. It features quartz heating elements that are thermostatically controlled along with a variable speed drum. You can choose from five different roast profile settings or manually override these settings for your own custom roast. A removable chaff tray makes for easy cleanup. The lighted interior allows to you monitor the color of your beans. The Behmor 1600 also has innovative smoke suppression technology, which makes it suitable for indoor use; however, you may still notice some smoking as you approach a dark roast. The Behmor does draw a lot of electricity at 1,630 watts. The Behmor 1600 will roast up to a pound of green coffee beans, which is the largest capacity of any home roasting machine. Roasting time is between 12 and 24 minutes depending on your desired level. There is also a mandatory two-minute cool down period. The large capacity of the Behmor 1600 is a definite plus if you go through a lot of coffee. While the variable settings may take a few attempts to master, they do give you a great deal of control over the final product. The fact that the machine is virtually smokeless at most roast levels makes it suited for individuals with small kitchens without extensive ventilation. The Behmor 1600 does not allow you to make adjustments during the roasting process. If you do not reach your desired roast level by the time the cool down cycle begins, you will need to start the process over. The manufacturer does not recommend this machine for French, Vienna, or Italian roasts. Getting your preferred roast consistently with the Behmor 1600 may require some experimentation. You may need to adjust the roasting time based on the unique qualities of various beans. It is also important to keep in mind that the machine may switch to the cooling cycle before the beans reach your selected roast level to account for carry-over roasting. Buy The Behmor 1600 at Amazon Now! The Gene Café measures 19 inches by 10 inches by 9 inches. This machine uses an off-axis drum to produce a consistent roast. The roasting chamber is made from tempered glass, which allows you to see the roast level easily. Two simple dials enable you to adjust the time and temperature during the roasting process, for maximum control over the final product. The Gene Café also incorporates a number of safety features, including overheat sensors, automatic shutoff, and a safety cover to prevent burns. Like most high-capacity roasters, this machine can produce a fair amount of smoke, especially at darker roast levels, so adequate ventilation is required. The machine comes with a large chaff collector that can be dumped or vacuumed out easily. The Gene Café pulls 1,300 watts of electricity. The drum will hold up to 8 ounces of beans per roast. Roasting time is between 12 and 15 minutes but can vary based on your personal tastes, the type of bean, and environmental conditions. The off-axis rotating drum provides for a very even roast throughout the entire batch of beans. This machine has a relatively long cooling cycle. The cycle lasts until the beans reach 140°F, which can take up to 10 minutes. Although the Gene Café is relatively quiet, it does make enough noise that it can be difficult to hear the delicate second crack of the beans. Buy The Gene Café at Amazon Now! This small ceramic roaster measures 10 inches by 6.5 inches by 3 inches. The inside of the roaster has a waffle texture to help create an even roast. The creative design allows you to fill the roaster through a small hole in the center but keeps the beans from escaping. The handle is covered in cowhide to protect your hands from the heat and can be used to pour the roasted beans into your cooling vessel. This YouTube video demonstrates how to roast coffee with the Nuvo Eco roaster by moving it side to side over the heat source. This roaster does not require electricity and can be used over your home stove or even a camp fire. This roaster will only hold about 3 tablespoons of beans at a time. Roasting time varies based on your particular heat source and the level of roast that you are trying to achieve but is generally between 7 and 15 minutes. The Nuvo Eco roaster is small and portable enough to be used while camping. The ceramic conducts and holds heat well for efficient roasting. This roaster is inexpensive, which makes it an excellent choice for anyone wanting to explore home coffee roasting without a major financial investment. The small size of this roaster means that it is definitely not for the frequent coffee drinker. The handle is rather short and can get quite hot, so you should wear heat-resistant gloves while roasting to avoid burns. You must move the roaster over the heat source throughout the roasting process to keep the beans from burning. This may mean a few inconsistent batches until you get the hang of the technique. Buy The Nuvo Eco at Amazon Now! While the Whirley-Pop is technically a popcorn popper, it also makes a first-class coffee roaster. 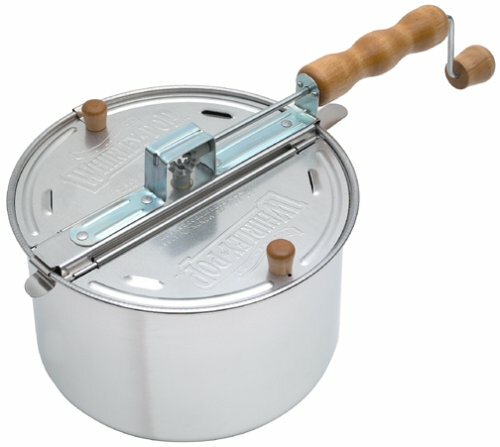 The pan is constructed of aluminum, and the clip-on lid has a wooden handle that you crank to stir the beans. You do have to rely on your senses of sight, smell, and hearing to know when your coffee has reached the appropriate level. The Whirley-Pop is an old-fashioned style roaster that does not require any electricity. You only need a source of heat and elbow grease to turn the crank. You should only roast one-half to three-quarters of a cup of beans at a time to avoid damaging the gear teeth. Over medium-low heat, the Whirley-Pop will take about six to nine minutes to reach the second crack. The Whirley-Pop is probably the least expensive way to try your hand at roasting coffee. 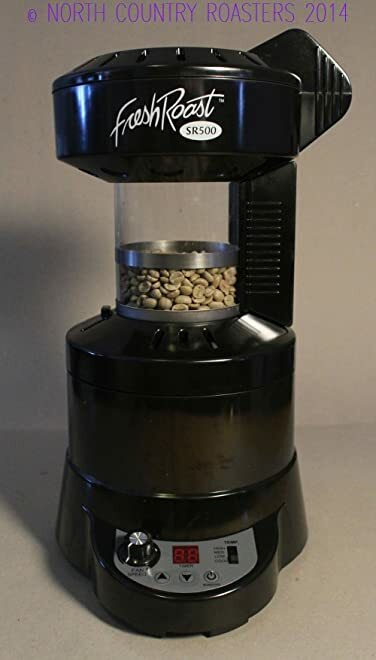 It is portable and will allow you to roast coffee even without electricity. The simple construction of the Whirley-Pop makes cleanup a breeze. Adding too much coffee to the Whirley-Pop can damage or break the gears. You do need to take the roasted beans outside to remove the chaff to avoid making a mess in your kitchen. Since the evenness of the roast depends on how well you stir the beans, it may take you a few attempts to perfect your technique. It is important to note that the 25-year manufacturer’s warranty does not cover roasting coffee. Buy The Whirley-Pop at Amazon Now! If you are just starting to explore home roasting, I would suggest the Nuvo Eco or Whirley-Pop roasters. While they do not give you the precision roast of a more expensive roaster, they will allow you to produce decent home-roasted coffee with minimal expense. If you find that you are serious about your roasting hobby, you can consider spending money to upgrade to a high-tech roaster. 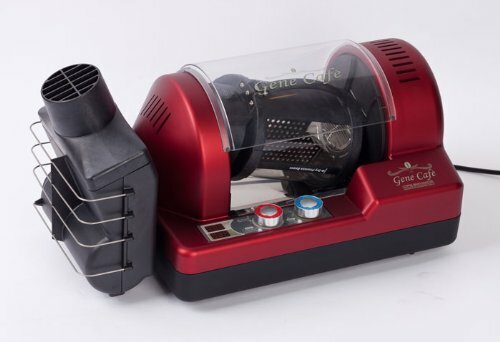 For the avid home coffee roaster, I would recommend the Gene Café. It is the most expensive roaster on this list, but its unique drum rotation and precision dial controls produce results equal to what you might find in a commercial roasterie. Coffee roasting requires high temperatures, which can be dangerous. It is important to use proper safety precautions and to never leave your roaster unattended. • You should always follow the safety instructions for your machine. • Use appropriate safety gear to avoid burns. • Only use your roaster in a well-ventilated area.